There are two ways to make money: humans and invested money. Humans work to make money. That money either gets spent or invested. We need both! The problem is that almost half of Americans don’t own stocks. From 2009 to 2017, the average percentage of Americans who owned stocks was 54%, down from an average of 62% eight years before. The figure includes individual stocks, 401(k) plans, shares in an equity mutual fund or an IRA account. Understandably, income is highly correlated to U.S. stock ownership rates. The problem lies in the lack of financial literacy. It’s in human nature to spend money to fulfill our present needs and wants. The emotional desire to spend more now throws out the need to think long-term. (For example, don’t shop while you’re hungry). Investing is savings since you didn’t spend the money on a $3 coffee or $1 bottled water. With that being said, side hustles are needed. The point of side hustles is to make extra income and diversify your cash flow. Most side hustles takes your time. Most side hustles hire you. The only side hustle that doesn’t require time and you are the boss is investing. 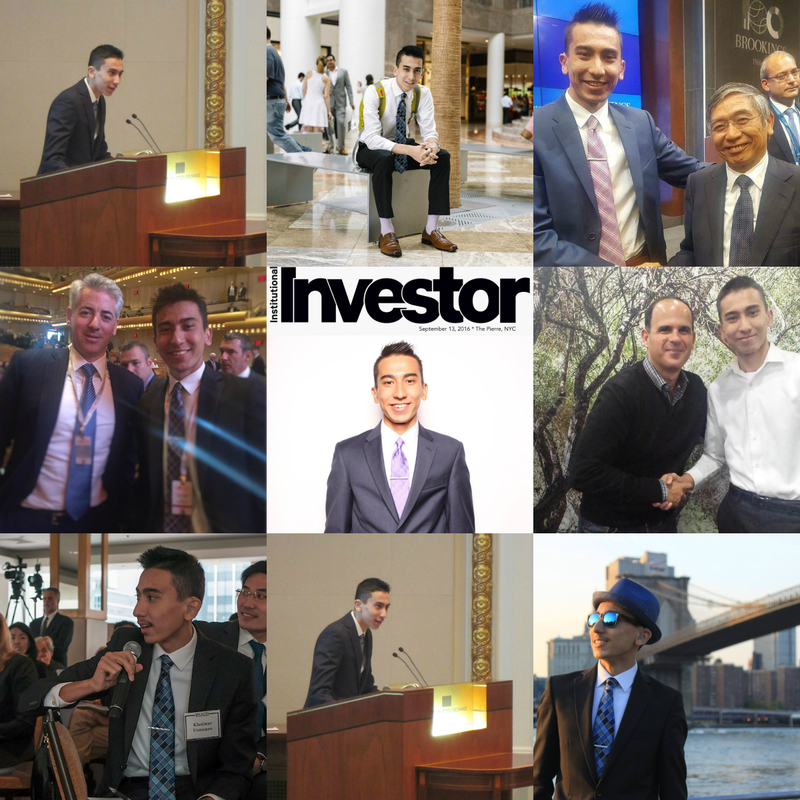 By investing, I don’t mean in penny stocks and individual stocks. By investing, I mean index funds or ETFs. By investing in index funds/ETFs, you cannot be fired, nor do you need to take time out of your schedule to work on it. By investing in the market, there is no income tomorrow. By investing in the market, it increases your probability of financial stability (and happiness?) in 5-45 years. If investing now, you’re not spending. By not spending, you may not feel happier in the present. But most of the times, we buy things we don’t need. Investing increases the probability of better future consumption in which life circumstances might be worse than it is now. Fun/Sad Fact: There’s a couple in NYC making $500,000 a year and only has $7,300 left to save. That’s still a lot, but only 1.46% of their gross income. They could have more savings if they were disciplined. (I don’t know them personally, so they still could be disciplined). Building wealth is so easy, except it is hard to do it consistently. There are two types of people in the world; disciplined investors and non-disciplined investors. In order to be disciplined, it’s important to think long-term by having assets allocation in sync with your current life situation, and by doing that you’re likely to maintain the portfolio in market volatility. After all, the market always goes up in the long-run. After all, the Dow Jones index will hit a million (current: 26,500.00) in 99 years. 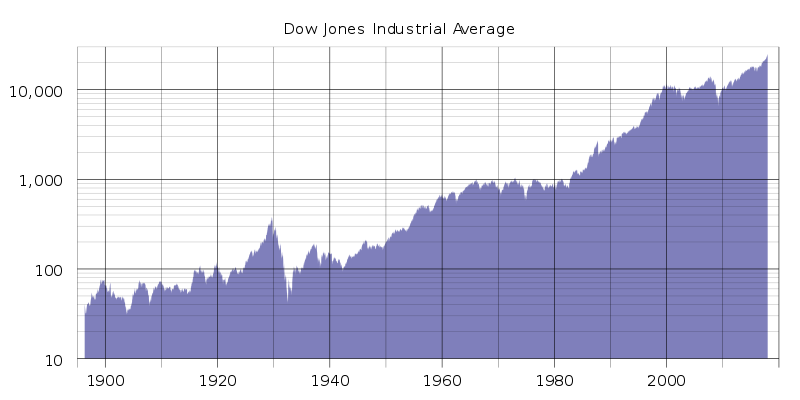 Historical logarithmic graph of the DJIA from 1896 to 2018. Another way to stay disciplined? Let the technology invest for you. Most investment accounts allow automatic investments. Even little as $20 a week can add up in the long-term. Apps like a micro-investing Acorns app is helping an average-Joe invest more than he usually would, without the emotional attachment since he doesn’t really notice the money leaving his checking account. Sure, investing has its risks. But, stick to long-term. Non-invested money loses its value due to inflation. Take the risk and that risk will reap your rewards. When the stock market increases, the rich get richer, so do you. (maybe you’re already rich so you belong in the rich category. Well “rich” is a subjective term to everyone). Your wages may not grow, at least your investments are growing. Just wait and you’ll get your reward. While you wait, do other things such as other side hustles that require your time. Or go hiking. Or learn to play guitar. Whatever interests you. I didn’t even mention saving in an employer-sponsored retirement account. I mean, 3/4 of U.S. employers offer 401(k) match. That match is FREE MONEY! Freeeee, something Bernie Sanders would love.